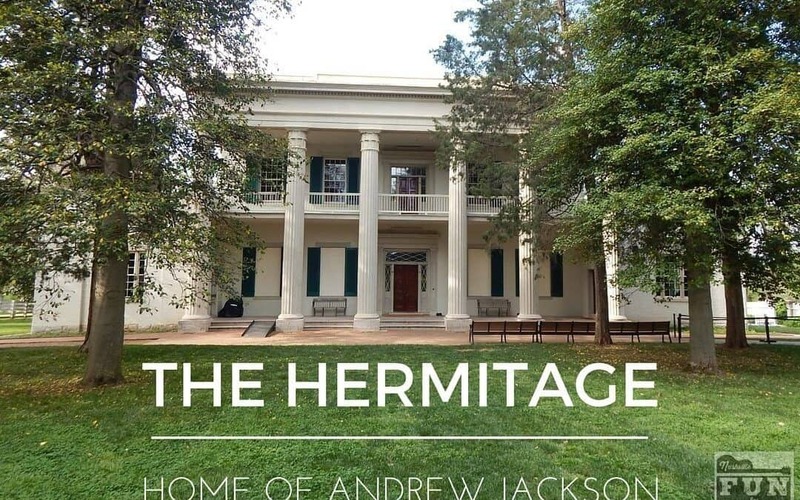 Have you been to the Hermitage lately? A lot has changed since my first visit as an out of town tourist in 2003. While I had a great time learning about the life of our 7th President, it certainly wasn’t geared toward kids. My next visit in the Spring of 2012, happened shortly after we moved to Nashville. I took my Mom on her first visit from Texas and we didn’t have enough time to see everything (we were there for 5 hours)! That fall Rachel and I went back to check it out again – I had been raving about it. Remember, Rachel grew up in Hendersonville and visited the Hermitage in second grade, and she was amazed by the changes. Since then, we have been many times and each time there is more for kids and families to do. The Hermitage had a great kids’ audio tour, but this Spring (2016), it was expanded to a full multi-media tour. There is a separate option for kids and adults, just like the previous audio tour and the kids’ tour is still narrated by Poll the Parrot – based on Andrew Jackson’s actual pet parrot. But, in addition to listening to the audio, the muti-media tour has new touch screen players that have new facts and games incorporated into the tour. Watch for signs as you travel through the 1,000 acres of the Hermitage. Each sign has a number that you type into your player to hear and see the appropriate audio clip, pictures, video and games for the area you are in. 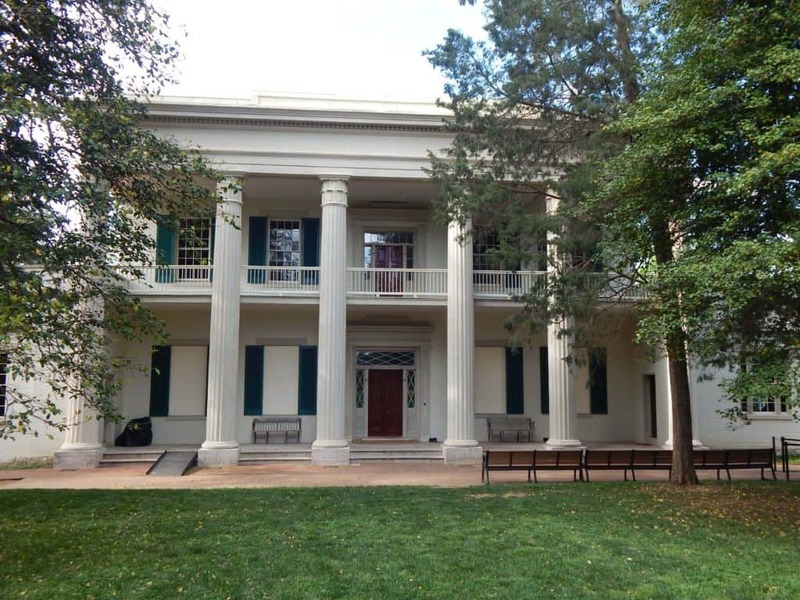 Make sure to pick a nice day – the complete tour takes you both indoors and outside through the visitor’s center, a tour of the Hermitage Mansion and through the grounds. There is a nature trail to explore, you can see the outer fields in a horse drawn wagon, and there are a lot of special programs to enjoy (see the calendar HERE). You really can spend an entire day learning about Andrew Jackson and what it was like to live in Middle Tennessee in the early to mid-1800s. Pick up your multi-media tour at the desk at the entrance of the visitors’ center and start your tour by following the timeline through the visitor’s center, which explains what was going on in the world while Jackson was growing up and events that occurred before he became President. (If you have been before, this section replaces the 20-minute film narrated by Martin Sheen that introduced visitors to Andrew Jackson.) There is an interactive section that explains what happened during the Battle of New Orleans, including troop movements and the strategy that lead to the defeat of British forces. My 11-year-old son really enjoyed seeing the Battle come alive on an interactive map. Then see “Andrew Jackson: Born for a Storm“, and explore the significant events in Jackson’s life. After learning about Jackson’s life and legacy head outside and walk though the grounds up to the Hermitage itself. Watch for multi-media tour stops all through the property. There is a map of the grounds built into the players, but you will also be given a paper copy that has each stop marked so you don’t miss anything. I have been several times at different times of the day and of the year and there is always a small line for the house tour. Tours leave every 5 minutes so you don’t have to wait long. The costumed interpreters will keep you entertained while you wait and share more facts about Andrew Jackson (did you know he fought in 12 duels?). The house tour is not stroller friendly so be prepared to walk up a flight of stairs. If that is not possible, you can do the tour of the first floor of the house and there is a book available so you can see pictures of the second story. There is usually a Docent that can explain the photos and tell you more about the rooms on the second floor. After you tour the home, you can head out and see the Mansion’s kitchen. On the opposite side of the building from the kitchen are the formal gardens that Andrew had built for his beloved wife, Rachel. There are numerous varieties of flowers, plants, and herbs which are a treat for the senses in the Spring. In the back corner, you will find the family cemetery including Andrew Jackson’s Tomb. Beyond the Mansion, you can explore the rest of the plantation. (On the way are bathrooms if you little ones have the urge to go….and there is a changing table for tiny ones.) The cabin that once belonged to Albert, one of Jackson’s former slaves, is well-preserved. You can venture in and see where Albert lived and slept. Before the Mansion was built, Andrew Jackson lived in a log cabin on the property which is also still standing. For $11 a person you can take a wagon tour of the outer fields. It is available from April to October and is about 20 minutes long. The wagon drivers are full of more interesting stories as they take you to see the fields where Jackson grew cotton as well as the footprints where the slave cabins were. Don’t miss the spring house on the way back toward the visitors’ center, which provided water to the Plantation. Here you will find access to the nature trail I mentioned that follows a creek in the woods that is worth exploring. If you are quiet, you may see wild turkey and other wildlife. The Hermitage reopened its restaurant, The Kitchen Cabinet Cafe, in the Spring of 2015 and its a great place for lunch. You are also welcome to bring in your own lunch and eat at the available picnic tables. There is a large gift store that carries lots of books, toys, and mementos about Jackson and other Presidents and First Ladies, and a wide selection of Tennessee jams, honey, and treats. We kept eyeing the fresh toffee. You can also find some beautiful garden themed items and jewelry. For locals, it is a great place to shop for interesting gifts.